This year brought us ripples in spacetime, human embryos in a dish, and speedy Zika vaccines. As 2016 comes to a close, here is a look back at some of the most amazing scientific breakthroughs, discoveries, and announcements of 2016. Before the discovery of Pluto in the 20th century, it had been theorized that a ninth planet, Planet X, existed beyond Neptune due to the gravitational clustering that could only be caused by a massive object. It was then believed that this planet was found in Pluto, but that never fully quantified the gravitational distortion until scientists at the California Institute of Technology presented evidence that a ninth planet truly does exist with an orbital period of 15,000 years. The astronomers who published their discovery have calculated that there is “only a 0.007 percent chance, or about one in 15,000, that the clustering could be a coincidence.” Presently, Planet Nine remains hypothetical, but astronomers have calculated its orbit to be quite massive. If it does exist, the planet would likely be approximately 2–15 times the mass of Earth and orbit between 200 and 1,600 Astronomical Units (AU) from the Sun. An AU is 150,000,000 kilometers, which means that the planet could orbit as far from the Sun as 240,000,000,000 kilometers. In several studies this year, researchers showed that eliminating worn-out cells helps mice live longer, healthier lives, and seems to stave off a multitude of age-related diseases. We might eventually enjoy the same benefits, with the launch today of a company aiming to develop drugs that wipe out these “senescent” cells in humans. When cells wear out, they don’t always die. Instead, they can start pumping out a brew of compounds that can cause damage to surrounding tissue. The process, called senescence, is thought to protect us against cancer and help wounds heal. But as we get older, senescent cells start to accumulate across the body, and may be partly responsible for the general wear and tear of all our organs as we age. Elevated numbers of these cells have already been linked to heart failure, arthritis, Alzheimer’s—and cancer. Mice whose senescent cells were killed off over six months were healthier, in several ways, than a control group of transgenic mice in which these cells were allowed to build up. Their kidneys worked better and their hearts were more resilient to stress, they tended to explore their cages more and they developed cancers at a later age. 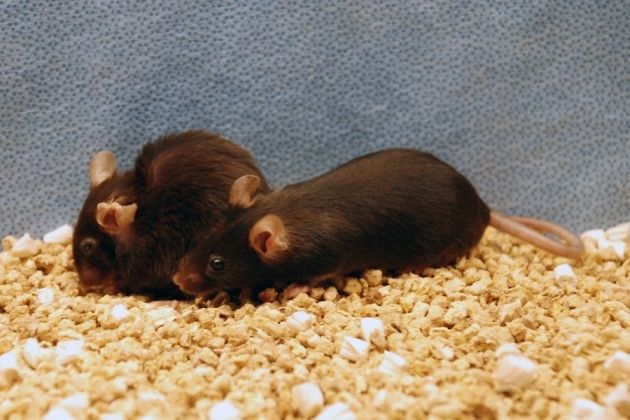 Eliminating senescent cells also extended the lifespans of the mice by 20–30%. These results suggest that targeting senescent cells might help combating age-related diseases in humans. A new gene-editing method is providing a precise way to modify crops in hopes of making them yield more food and resist drought and disease more effectively. Research in the past year has shown that the resulting plants have no traces of foreign DNA, making it possible that they will not fall under existing regulations governing genetically modified organisms and will sidestep many of the consumer concerns over these GMOs. Big and small companies alike are jumping in. DuPont Pioneer has already invested in Caribou Biosciences, the CRISPR startup cofounded by Jennifer Doudna, one of the inventors of the technology, and is using it in experiments on corn, soybeans, wheat, and rice. It hopes to sell seeds bred with CRISPR technology in as little as five years. However, the big question is whether CRISPR crops will be governed by the same regulations as GMOs. In comic books and cartoons, you usually see rockets landing on planets and moons vertically, but in reality, achieving this feat is incredibly difficult. Because of this, government agencies like NASA and the European Space Agency have developed rockets that are either ditched in the ocean for later recovery (an expensive undertaking) or they are purposefully burned up in the atmosphere. The ability to successfully land a rocket vertically means that it could be cheaply and easily be reused, which would save an incredible amount of money. In a feat of engineering finesse this year, the private company SpaceX successfully landed a rocket vertically on April 8, and they did so on a floating autonomous drone ship. Their success will save money and also time between launches. CEO Elon Musk made this achievement a longstanding goal for the company, and even though his is a private venture, the technology will eventually spread into government agencies like NASA to help push space exploration forward. 6. Humans aren't the only great apes that can "read minds"
All great mind reading begins with chocolate. That’s the basis for a classic experiment that tests whether children have something called theory of mind—the ability to attribute desires, intentions, and knowledge to others. When they see someone hide a chocolate bar in a box, then leave the room while a second person sneaks in and hides it elsewhere, they have to guess where the first person will look for the bar. If they guess “in the original box,” they pass the test, and show they understand what’s going on in the first person’s mind—even when it doesn’t match reality. Now, in an ingenious experiment involving video and a man in an ape suit, researchers showed this year that apes understand when another ape holds a false belief, which is believed to underlie deception, empathy, teaching, and perhaps even language. The groundbreaking study suggests that this skill likely can be traced back to the last common ancestor of great apes and humans, and may be found in other species. A decade ago some experts thought a computer could never defeat a human expert at Go, one of the most computationally demanding games. This year, AI experts at Google and their program, AlphaGo, shocked the experts by beating the human world champion. "It happened faster than I thought," said Rémi Coulom, the French researcher behind what was previously the world’s top artificially intelligent Go player. Using a vast collection of Go moves from expert players—about 30 million moves in total—DeepMind researchers trained their system to play Go on its own. But this was merely a first step. In theory, such training only produces a system as good as the best humans. To beat the best, the researchers then matched their system against itself. This allowed them to generate a new collection of moves they could then use to train a new AI player that could top a grandmaster. In May 2016 researchers showed that they could keep human embryos developing in a lab dish for nearly 2 weeks, allowing scientists to finally see what happens in the mysterious days after implantation in the womb. Previously an embryo had to implant in the womb by day seven to survive, but it is impossible to see what is happening inside the mother at this stage, so scientists were in the dark about the cellular and molecular changes taking place. Crucially it is during that period that two thirds of pregnancies fail because the embryo does not implant properly. "This is about much more than just understanding the biology of implantation embryo development. Knowledge of these processes could help improve the chances of success of IVF, of which only around one in four attempts are successful," said Dr. Simon Fishel, Founder and President of CARE Fertility Group. Everything degrades eventually, and there is no way to store data on one device for truly extended periods of time. But that may no longer be true due to a discovery made by the University of Southampton. Scientists have successfully used nano-structured glass to create a process for recording and retrieving data. The storage device is a small glass disk about the size of an American quarter that can hold 360TB of data and remain intact up to 1,000°C. This means that its average shelf life when held at room temperature would be approximately 13.8 billion years (Roughly the same amount of time the universe has existed). Data is written on the device using an ultrafast laser via short and intense light pulses. Each file is written in three layers of nanostructured dots that are only 5 micrometers apart. When read, the data is realized in five dimensions: the three dimensional position of the nanostructured dots as well as their size and orientation. A clinical trial held at Stanford University School of Medicine injected modified human stem cells directly into the brains of several chronic stroke patients. The procedures were all successful with no negative effects described from the injection and only mild headaches as a result of the procedure, which was performed on mildly anesthetized patients. All 18 showed significant healing long after any healing is expected following a stroke (a period of six months). This included increased mobility and actually allowed for patients who were previously limited to wheelchairs to walk again freely. Early this year, scientists at the mammoth Laser Interferometer Gravitational Wave Observatory (LIGO) confirmed one of the Albert Einstein’s boldest predictions: that whirling masses can shake the very fabric of spacetime, generating infinitesimal ripples—gravitational waves. Produced by some of the universe’s most violent events—such as mergers of black holes and collisions of ultra-dense neutron stars—gravitational waves give scientists an entirely new way of observing the universe, potentially allowing them to measure and study things that are invisible in any wavelength of light. To give an idea how weak the signal was, it was 'like changing the distance between earth and sun by a fraction of an atomic diameter', said Professor Gabriela González, professor of physics and astronomy at the Louisiana State University. 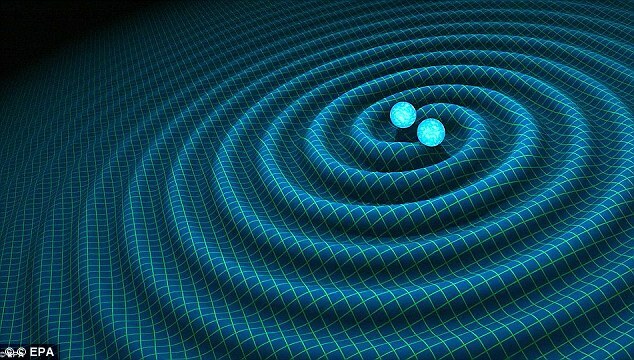 Gravitational waves are also thought to have been produced during the Big Bang. If found, they would not only confirm the Big Bang theory but also offer insights into fundamental physics. For instance, they could shed light on the idea that, at one point, most or all of the forces of nature were combined into a single force. Anything I missed? What do you think are this year's most influential science breakthroughs?